Overall, the biggest changes that happened in the village was the construction of a large number of residential houses. 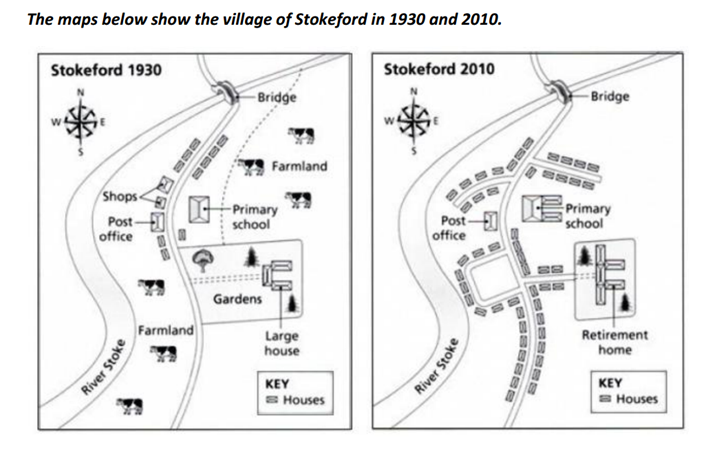 Additionally, shops and farmland completely disappeared in 2010. There are shops near houses to the west of the bridge, and these shops were demolished to make way for more residential houses, whereas the post office nearby still existed. Bridge had more branches with a large number of houses built close to them, while farmland disappeared in 2010. It needs much more work on tenses and articles.